OMG Posters! » Archive Tomer Hanuka Art Prints - OMG Posters! Huge commercial artist Tomer Hanuka has some great art prints for sale, definitely worth checking out. You may not know him by name, but you have probably seen his work in newspapers, on magazine covers, or on your favorite albums. All of his prints are giclees, and all are signed, but only one of them is editioned. They are reasonably priced at $75 each. There are a bunch more that I didn’t picture here, so visit Monomyth.com. The second one down is a scene out of Stephen King’s “Cell” for anyone who has read the book. I recognized it before I even saw the title. The piece includes all of the main elements described in that scene of the book. Crazy cool! seems like most of his art is inspired by books: The Road, Cell, Life of Pi and so on… all great novels, and the images are indeed mesmerizing. Actually, rather than being inspired by books, I think some of them (if not all) are actually commissioned illustrations for different versions of the books. I know the Life Of Pi one was for a shortlist of illustrators they were choosing between for the new version, and his didn’t get chosen. One of those is Uma in Kill Bill. He’s got a pretty cool style. 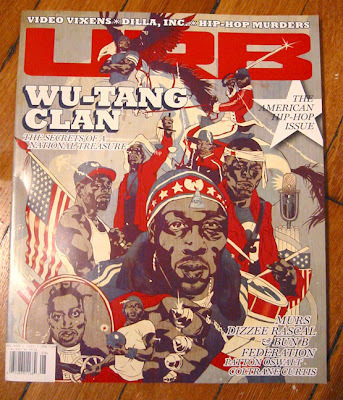 He’s also in Juxtapoz this month, interviewed by Aesop Rock. Can’t wait to grab that. I think “The Road” was done for Entertainment Weekly or Rolling Stone.